Sarah Yates, of the leading lifestyle blog, A House in the Hills, just received one gorgeous, modern bohemian, guest bedroom makeover. A brilliant photographer, keen interior designer, and talented chef, this fashion maven's new space definitly reflects her trendy eclectic style. From completely blank slate, to warm, welcoming, organic serenity, we couldn't be more excited to reveal this luxurious transformation! Turning to Decorist for her makeover, Sarah chose Elite Designer Jennifer Stewart to bring life to her entirely empty space. Sarah expressed a desire for something warm, inviting, relaxing, and relayed her preference for solids over patterns, and love of natural materials like leather, linen, and warm wood. With this, Jennifer set out to generate two design concepts that incorporate these wishes into a room reflective of Sarah's style. And here are the results! Two stunning design concepts with modern, bohemian, and mid-century influences. Jennifer's first concept emphasizes texture with natural materials, pops of contrasting blue, and sharp gold accents. The second concept sticks to a more neutral palette with soft pink accents for a feminine vibe. Both light and airy, Sarah ultimately decided on the rosy warmth of number 2! Lovely, right? The airy serenity of this bohemian modern guest bedroom has us seriously obsessed. For starters, how stunning is that gold and cream woven wall hanging... It's fleece texture so tastefully contrasts the modern sophistication of the frosted glass bubble chandelier. We also love Jennifer's tasteful mixing of woods. The clean lines of those mid-century Penelope Night Stands emphasize the raw finnish of the Emerson Bench, for such intriguing variance. And the flush of pinks in the vintage moroccan wool rug and Kilim/Ashti throw pillows, maintains that cozy feel throughout. So attractive, so eclectic, we're very happy to have given Sarah the guest bedroom of her dreams. 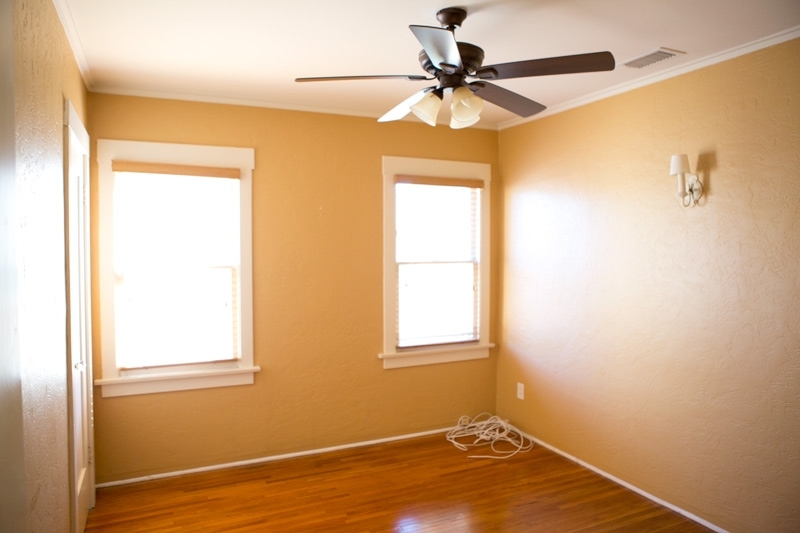 Yearning for a space like this to call your own? 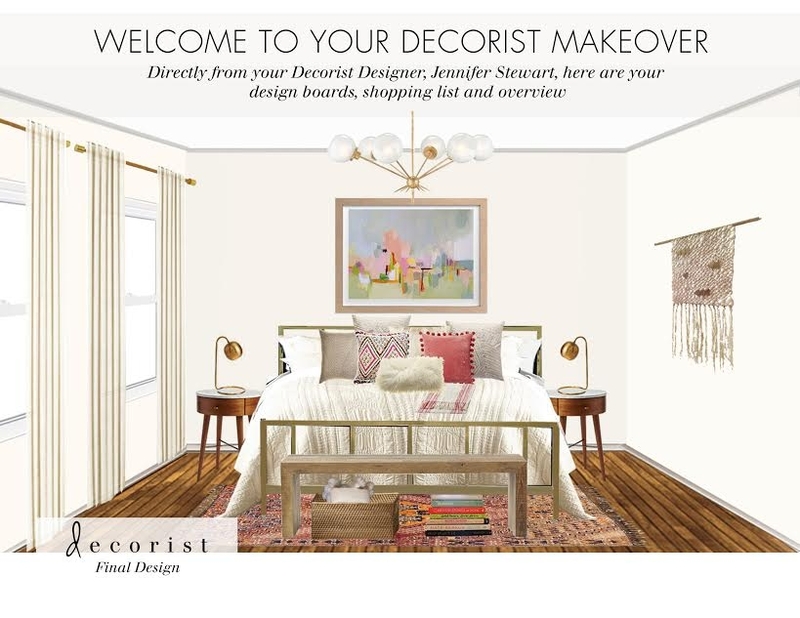 Try a Decorist makeover! And watch your imaginings come to life as an affordable, stylish, and brand new look for an existing space. And if you want to read more about Sarah Yates makeover, pop over to A House in the Hills!